This is for 1 piece of Cairanoolithus Dinosaur eggshell. The fossil was collected in the Provence region of France. This is the first material I have ever offered in nearly 10 years of selling fossils. 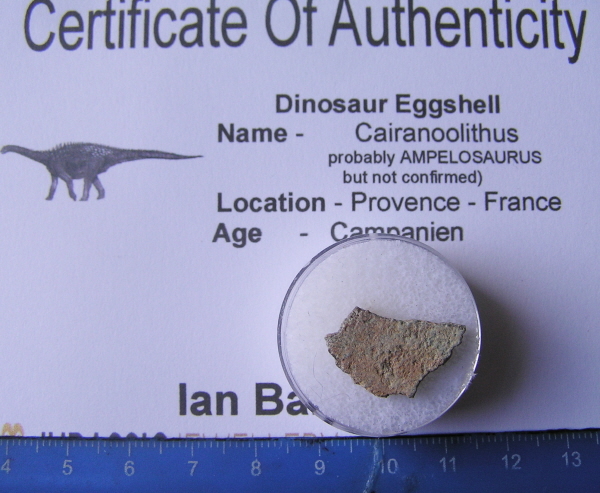 I have sourced this - along with several types of Dinosaur Eggshell from a specialist collector in France. This material really is rare - and I challenge you to find more than a handful of other sellers.